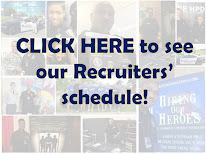 This past Saturday we completed our inaugural "Run with your Recruiter" campaign. 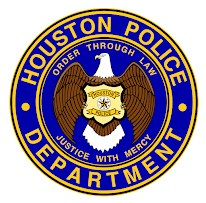 Police applicants for Academy Class 211 met with recruiters at Memorial Park to begin their journey to becoming "Houston's Finest." We ran them through the mile and a half run, 300 meter run, push ups and agility tests. It was hard for some and easy for others. It was a chance to talk and meet some of the academy staff as well as speak with veteran officers about what to expect in the upcoming months at the police academy. There were even a handful of current cadets from class 210 on hand to meet and exchange ideas and tips for being a better cadet. Remember, if you struggled on Saturday, this was just a taste of what to expect when the academy starts. You still have some time, start running and doing push ups NOW! I have been running everyday! I had a good time. I need to practice my push ups though. Thank you for having me. Can't wait to begin my career! cool! I saw me struggling in the video. NOT GOOD> I will do better. I promise! It was a great opportunity to find out where I am and where I want to be. Many thanks to the recruiters for helping me frame my motivation to train harder. For those applicants who participated in the event. Thank you for your time and dedication, we enjoyed meeting with you and working out together. Everyone looked great! I like that the classmates are meeting each other before the class starts. Their friendships will be even stronger. The cadre and Hr personnel looked great to. Great idea to do this. Sgt. Brown was leading from the front as always! Greata times I bet. I speak from experience, it will get HARDER! Just keep reminding yourself why you're doing it and you will prevail. Great experince, I had no trouble doing this but I will strive to better myself. There's no ultimate end in physical strenght. Everyone please improve physically within this month. I'm glad I met with my academy class, everyone seemed like good people. Im glad these are my future partners. Get ready everyone, class 211 is a strong bunch. The better you prepare now, the easier it will be in the academy... keep doing those push-ups and RUN!!! Best of luck to 210 and 211... welcome to the family!